Be Known for Something : Discover Your Church Communication Thread / Brand Strategy / 5 Ways You can be More Creative. Now! 27 years ago, I entered college to become a “graphic designer”. Actually, back then, I referred to it as a “commercial artist”. 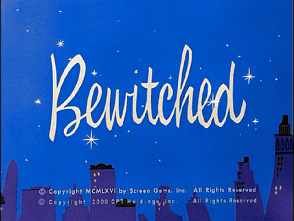 I wanted to be Darren from Bewitched. He presented ad campaigns to various companies in the episodes that centered on him. He’d have his marker storyboards and creative ideas ready for the meetings. But something always went wrong and the client rarely liked his creative work, so his wife, Samantha (the witch) would be sitting on a filing cabinet in the background and with a wiggle of her nose, make everything right. In the 27 years since, you wouldn’t believe the times I wished for a witch in the corner to help with my presentations. But we know that’s fiction. So how do we, mere mortals, become creative?!? When it comes to being creative, I remember back in high school that I loved to draw and “come up with ideas” — but only if I “felt” creative. Been there? Once I landed my first agency position, reality became my teacher — and I discovered that you have to be creative all the time. Here are 5 ways I’ve learned to be creative “on the spot”! Realize that EVERY idea can be creative. It’s really the ability to take an “angle” on the idea that makes it “clever”. Stop reaching for THE best creative idea, and start writing every idea that comes to your mind. Don’t judge them as you do this. Allow each idea to breed a different angle. After awhile, start to be critical and one will jump as “more” creative. And stop thinking that every creative product is unique. A totally new concept is rare, but often springs from the process. “Uniqueness” shouldn’t be the goal or it will discourage you because the bar is too high. Know your Creative spot. We’ve all been in situations where you feel more creative. Start being conscious of these situations. Is it in the morning? Afternoon? Right after a Mountain Dew? Where are you located? What did you just do? I can tell you that most times, you need to be well-rested and well-fed. Need a “special” creative idea? Try to simulate the “spot”. For me, caffeine plays a large role in this process. And let’s not forget the importance of a deadline. Many an idea becomes creative when it HAS to be delivered! Scattergram. This is something I learned in an English class in College. Start by writing down the key point (or benefit) of the product that you’re trying to be creative about. Then draw a line from that word (or concept) and put down the first word that pops in your mind. Continue the process, from your original word or from any word that you’ve written. From this process has sprung MANY campaigns. A great Mac program (that’s free!) to help you do this process is available here. Another alternative is to write your concept word down AND a seemingly disconnected noun on the opposite side of the page. Then try to figure out the correlation. Don’t do it alone. Most of my best ideas came from a group. I don’t like a large group — say only 2-4 people. And set some rules. This is the process we use at PinPoint. Someone explains the dilemma, the audience and the expectation. Then the first round is a “nothing’s a dumb idea” discussion followed by us paring it down. Don’t rush the first part but realize the goal is to find a solution, so we try to set a time limit, and the person with the dilemma walks away with our ideas and they decide which direction to go. Keep your eyes open! I’m amazed how little people notice. It’s sad. So many ideas and concepts interact with us on a regular basis and we don’t even notice. We see a great TV campaign and moments later we hardly remember it. Or a magazine ad concept that captures our attention until we turn the page — then it’s gone! When something attracts our attention (possibly for the humor, or for the way it communicated), break the thought process down. Quite often you’ll see the processes (list above) in practice. A benefit of a product tied to a seemingly separate idea. And it’s that connection that makes it noticed. If it’ll help you, keep a notepad or an iPhone app (or similar) that allows you to quickly jot down the process. Then it’ll give you a starting point the next time. So go ahead, and be creative in ALL you do. The more you practice the better! The best part of being creative is, it’s fun! Perhaps it’s too logical to say that “creative is the byproduct of a process“. But until I find a little witch to take to my meetings, I choose to follow a process to get a creative product. Granted, because I’m also an artist, I break the process on a regular basis. But at least I know I do it when it happens. Start looking for creative moments in your life!